"I expanded on the FSL Flowers and Bows Corner Set from the square design presented to a 22" x 40" table runner. I used the tails of the bows to make the scallops along the sides and added a portion of the design for the center motif. 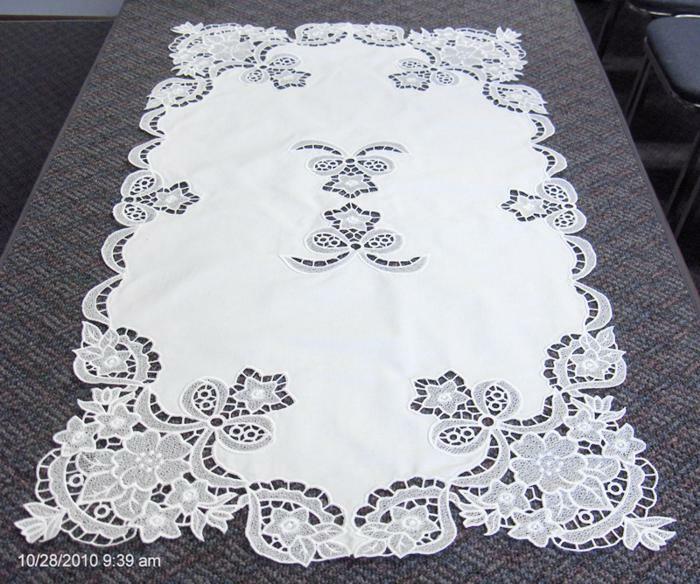 The lace was embroidered on 2 layers of Vilene and assembled first and then zig-zagged onto the base fabric." 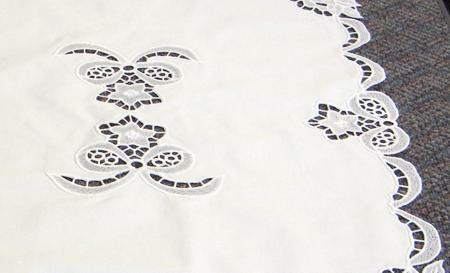 The scallops along the sides and the center motif the contestant made out of the designs of the set.